Looks like something is not fully compatible between the surface and the Hyper V.
And if you have installed the latest Visual Studio you have probably noticed that it takes longer than usual for the Wi-Fi to connect let alone that you don't have the sleep mode anymore. 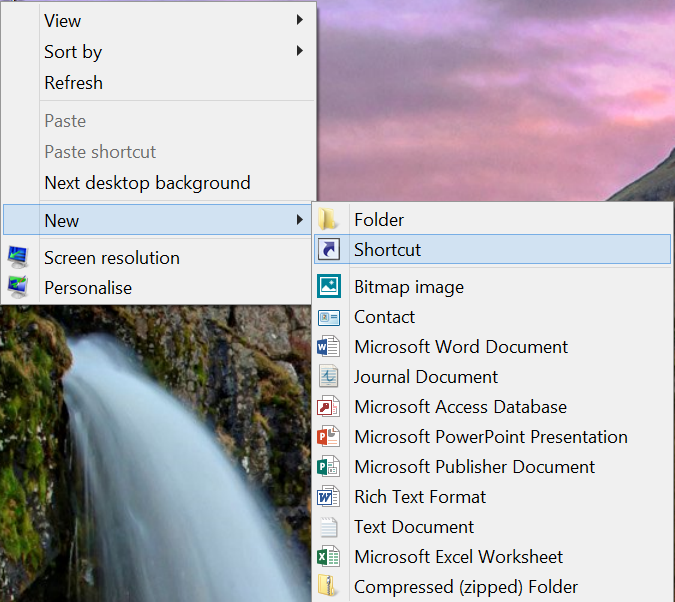 In order to workaround this issue I have created a couple of shortcuts in the desktop, one for turning off Hyper V and one for turning it back on when you really need it. You'll see the window for selecting the program to which the shortcut is going to be pointing at. Right after that we will find bcdedit.exe in the system32 folder. And finally we will name the shortcut something meaningful. Now the tricky part. We will right click on the newly created shortcut and select properties. After that click on the Advanced properties and select Run as administrator. Remember to do the HyperV On and the HyperV Off icons. And finally remember that after you execute these shortcuts, in order for the change to take effect you'll have to restart the computer. I have been thinking about taking and restoring snapshots of my Azure Virtual Machines for a while but never had the time to do it... until today. It is extremely easy when you know how to do it but it could be a bit daunting when you have to start from scratch and as I have to write a post explaining it and it was about time for me to write another post in my blog I thought it could be a good idea to do it here. Luckily by now you will have it working. Now the real thing. 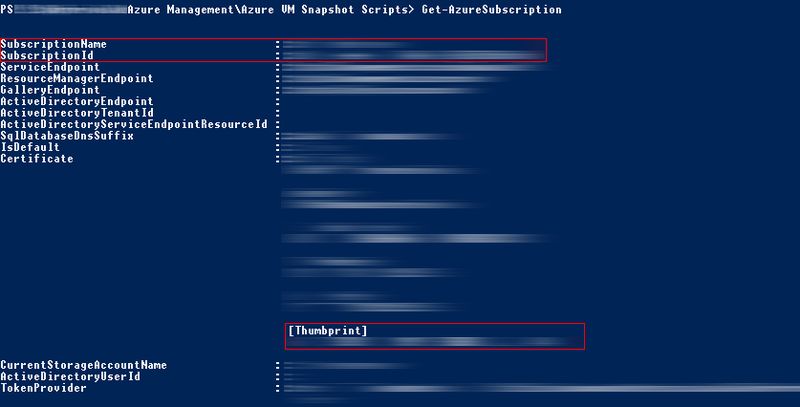 Chris Clayton has created a set of scripts that work wonderfully for managing Azure VM Screenshots and that is what I am using right now. If you are too lazy to go to the page and find the link you can get the scripts from here. This file will make the executing the commands easier as it has all the information about the subscription(s) that you are going to use. Yes, cool but... where to I get the data? look. Those are the parameters you need to fill in. Simple stuff. Now we have all the parameters we need. Just for testing it we will launch the script for getting the list of snapshots in a virtual machine. The data in your "Temporary Storage" drives will not be backed up or restored because they are temporary. Yes I knew it was going to work that way but I had to try. As a test I took a snapshot of one of my SharePoint development machines, made some changes, restored it and so how the changes were reverted, just as expected. And I would even say faster than I expected.